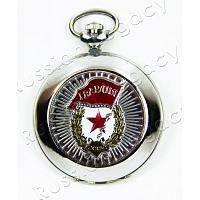 Vintage style chrome plated stainless steel watch. 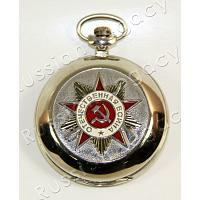 Dial features CCCP, abbreviation of the Soviet Union. Mechanical movement: 17 ruby jewels. Diameter: 34 mm. Imported from Moscow, Russia. Ships within 7 business days.